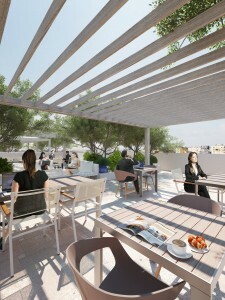 A private rooftop club space, inspired by the olive groves that Cyprus is famous for. The perfect place to work or meet during the day, or relax in the evening and watch the sunset. 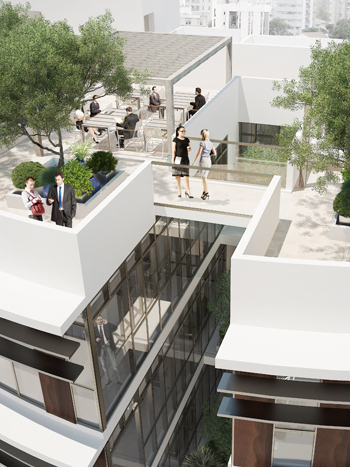 A swathe of greenery cuts through the very heart of the building, drawing light and life into every office space.